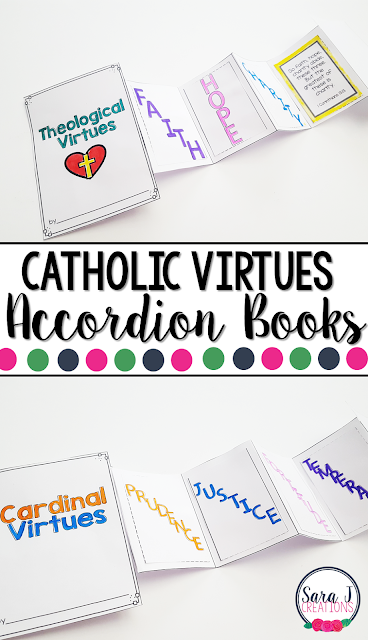 After the popularity of my 12 Apostles Mini Book, I knew I wanted to create a whole series of mini books that teach young learners the Catholic faith. 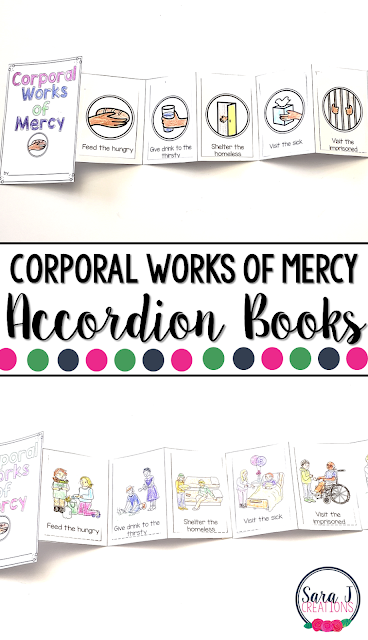 I quickly set to work but I didn't want you to have to wait until I was completely finished before you started using these, so I created a Catholic Mini Book Growing Bundle. A growing bundle means that some of the items are finished but it will continue to grow as new products are added to it. The best part is that you get the price that it is now but still get all of the other books as they are added with no additional cost. The price goes up every time a new book is added. This is such a fun, hands on way to bring the faith down to a simple level for children. 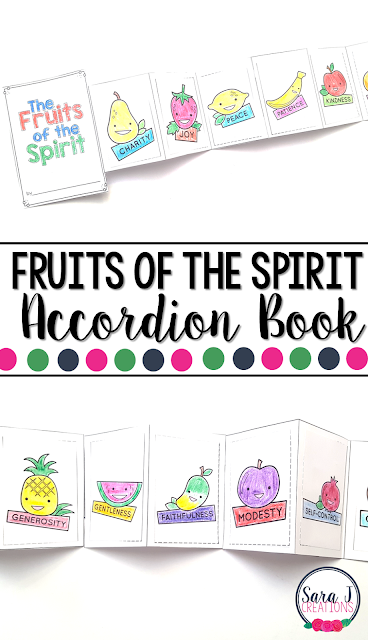 Plus, it gives children an awesome set of mini resources that they can refer back to often. For each mini book, some assembly is required. You will need to cut out the pages and tape them together on the back. This usually involves 3 or 4 sheets that need to be cut and taped. 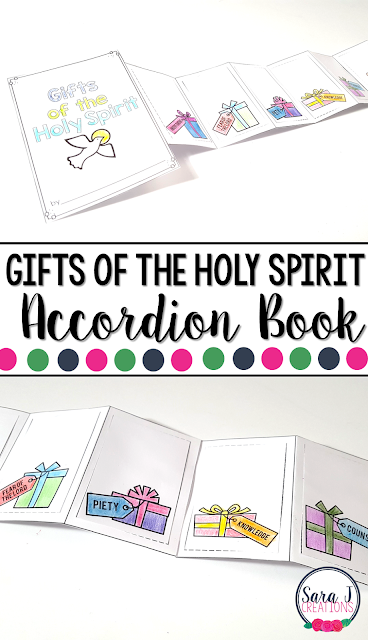 Then you fold the pages back and forth like an accordion until the pages fit inside the covers. For younger students, you might want to prep this ahead of time. Once the books are assembled, the next step will be to color and cut the information out. 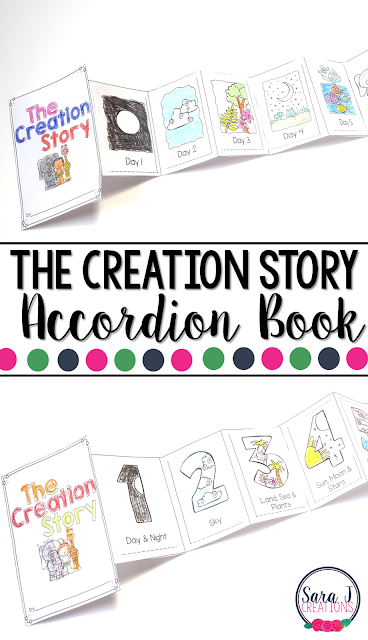 This would be great as a review or if you are teaching the material for the first time, students can color, cut and glue each part as they learn about it. 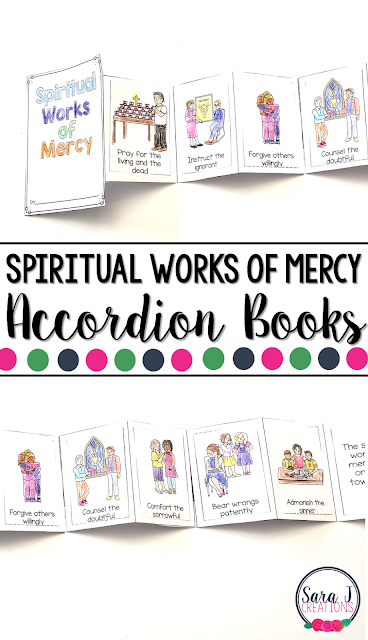 After they are assembled, your child will have a mini book to help teach him/her about the faith in a kid friendly way. **For older students: Have them take notes on the back of each page or add more details from their own learning and research. Here are the mini books that are planned for this bundle so far. If there is a picture and a link, the book is posted in my store. The other ones will show the date that they will be posted. This is a freebie on the blog and is also included in the bundle. Includes Peter, John, Philip, Bartholomew, James the Lesser, Andrew, Jude Thaddeus, Simon the Zealot, Matthew, Judas Iscariot, Thomas and James the Greater. This includes 14 pictures and corresponding words that show what happened after Jesus was sentenced to death. This is great to use during Lent and especially on Fridays when we traditionally use the Stations of the Cross. 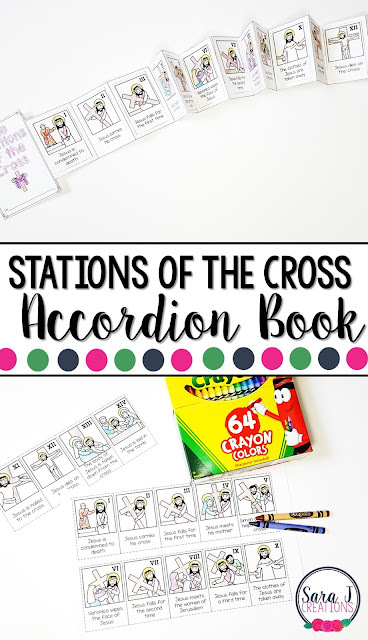 I also have a SPANISH version of the Stations of the Cross. It is not currently included in the bundle but can be purchased individually HERE. This book focuses on the events of the week leading up to Easter. 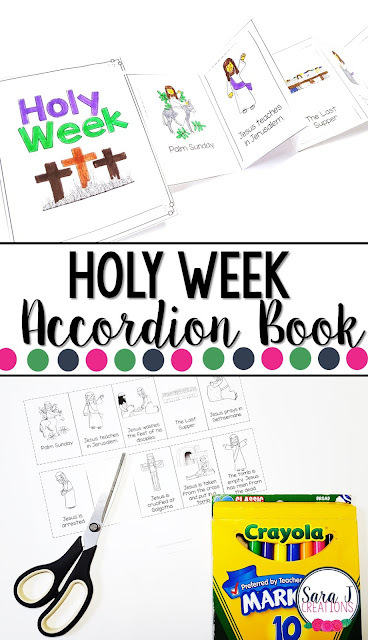 While the Stations of the Cross focuses on Good Friday, this books starts with Palm Sunday and ends on Easter. It also includes a teaching resource that gives more information and teaching points about each event. 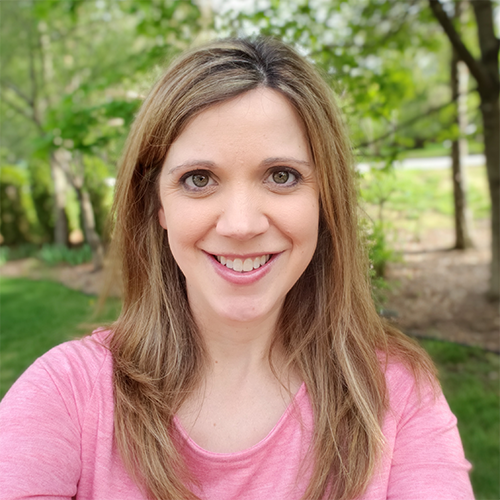 This book focuses on the 10 Commandments - the Catholic version. There are two options with this book. Younger students can just cut the picture and the words out. Older students can cut the blank tablets out and write the commandments out. 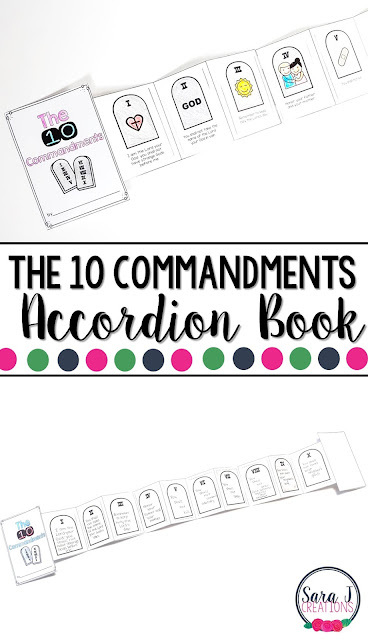 I've also included a teaching guide with different ways to describe and explain the commandments to kids. 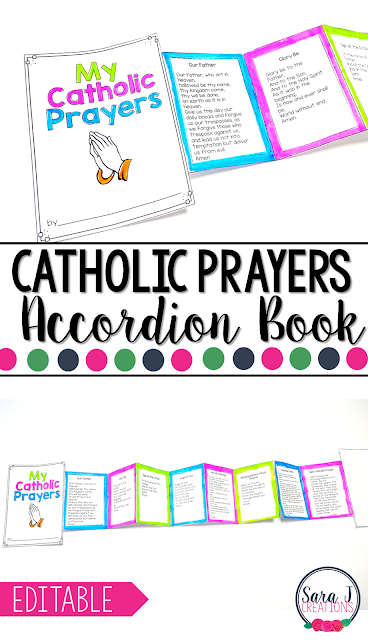 This book covers the 7 sacraments of the Catholic church - Baptism, Reconciliation, Eucharist, Confirmation, Matrimony, Holy Orders, and Anointing of the Sick. 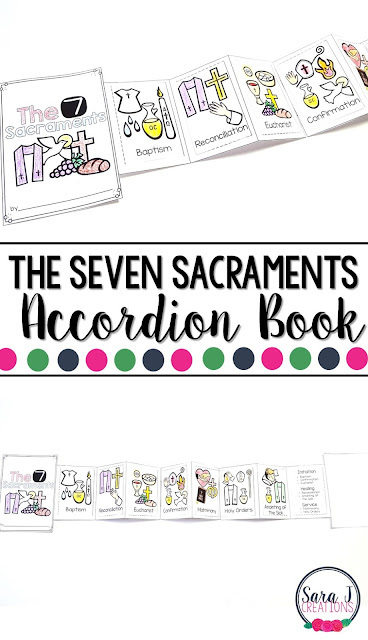 There is also a teaching sheet that explains a little more about each sacrament to help with your instruction. This book includes two different text versions - one with space for illustrations and one without. 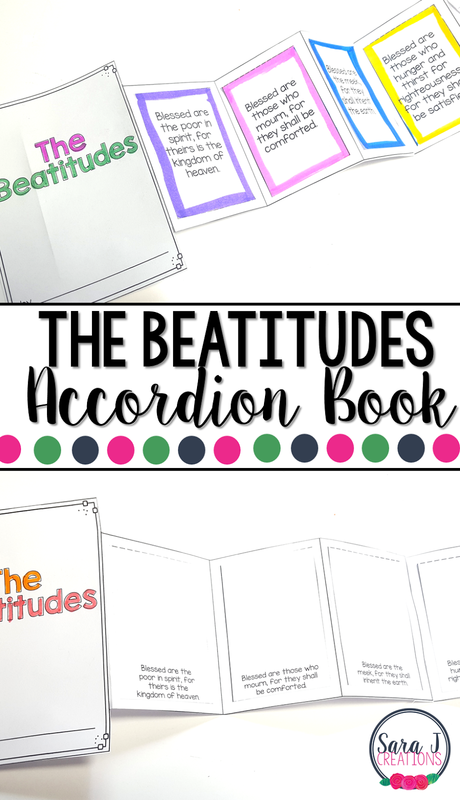 The Beatitudes included are based on Matthew's Gospel. If I don't want the whole bundle, can I just buy specific books? Yes, for sure! Click on the pictures and links above for the books you are interested it. Ready to grab the bundle and get started today? 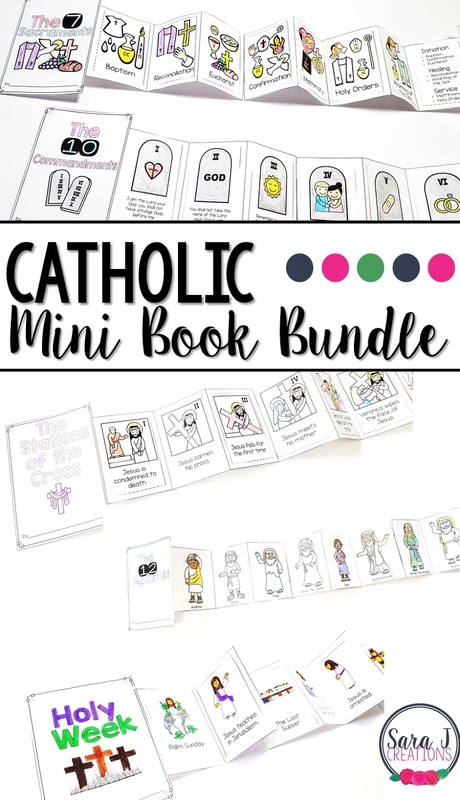 Just head to my TpT store to download the Catholic Mini Book Bundle now!